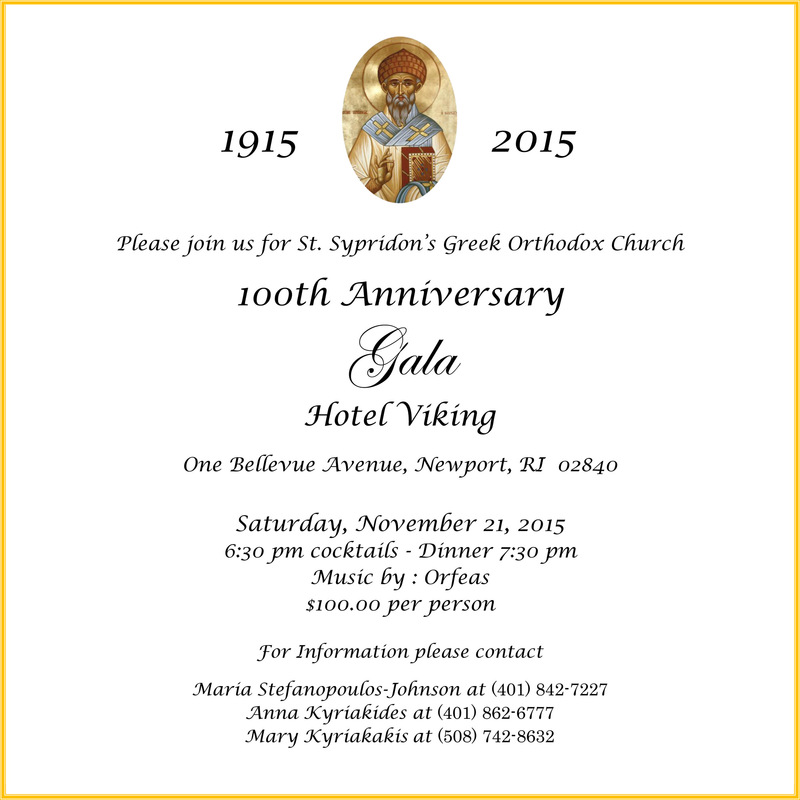 Please join us in Newport, RI for St Spyridon Greek Orthodox Church’s 100th Anniversary Gala! There will be a wonderful dinner and dancing with music by Orfeas. We hope to have you join us for this wonderful celebration!